The Chennai High court bench quashed the Goondas case on rights activists Thirumurugan Gandhi, Daison, Ilamaran and Arun Kumar today. The Activists were arrested in May for conducting a candle light vigil in Marina beach to commemorate the genocide of Eelam Tamils. 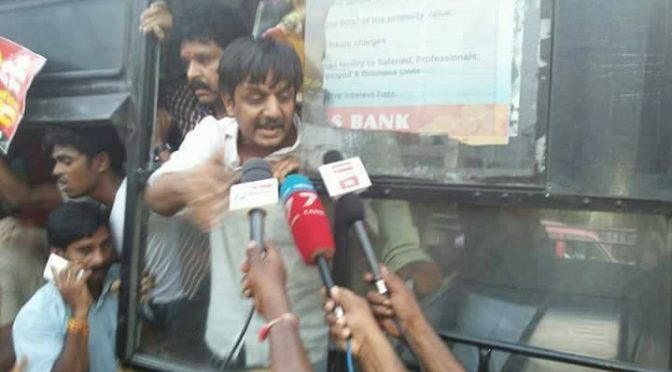 Following the arrest cases under sections 147,148, 143, 188,341 and 506 [ii] IPC r/w 7[i] CLA act and sec 3 of TNPPDL act were filed on Thirumurugan Gandhi, the chief co-ordinator of May 17 Movement and other comrades. Subsequently Goondas act was used and activists were jailed in the Puzhazh prison. The Tamil Nadu government used the notorious Goondas Act, a detention law to imprison the Activists to quell the dissent it was facing on numerous issues in Tamil Nadu. Millions and millions of people in Tamil Nadu are heavy heartedly grieving over the death of the young student Anitha. There is a general feeling of an unbearable loss particularly amongst those who supported Anitha’s fight against the system over the NEET exams! 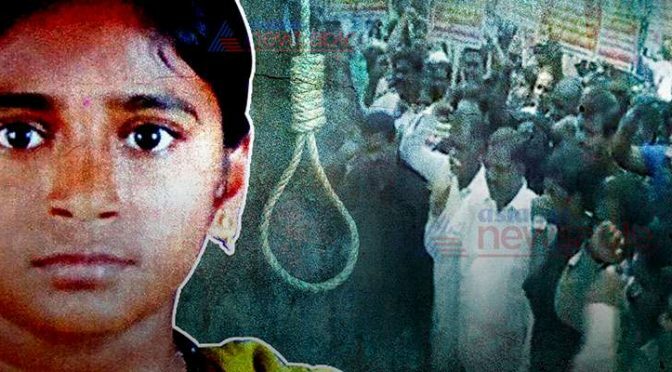 Many lost a sister, a daughter, a family member with Anitha’s tragic death. Spontaneous protests are erupting everywhere regardless of very high police alert show the outrage amongst the people in general. Students, activists and young workers are all in a combat mood against the system right now. Pricol workers on indefinite hunger strike! Eight days wages of 840 workers was withheld by the Pricol Ltd management to merely penalise the workers for their abstention from work on the 25 April, to join the state wide protests supporting the farmers cause. 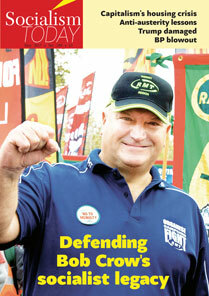 The Pricol workers, however are determined to fight against this and they are now in an indefinite hunger strike. 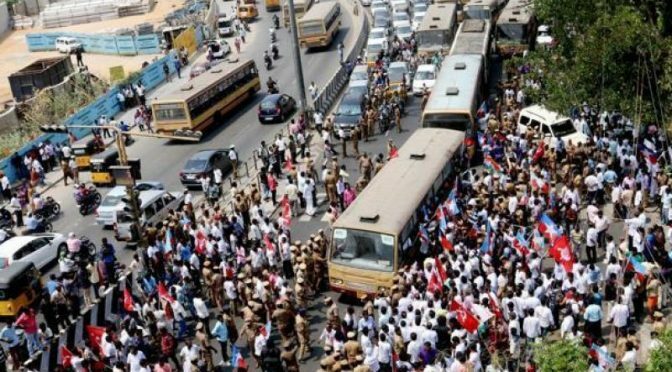 On June 19th – AICCTU, AIARLA along with other organisations have coordinated a well attended inaugural event, expressing solidarity with the 12 Pricol workers and their supporters in Coimbatore, and Chennai who began their hunger strike. Defend students’ democratic rights and campus democracy! 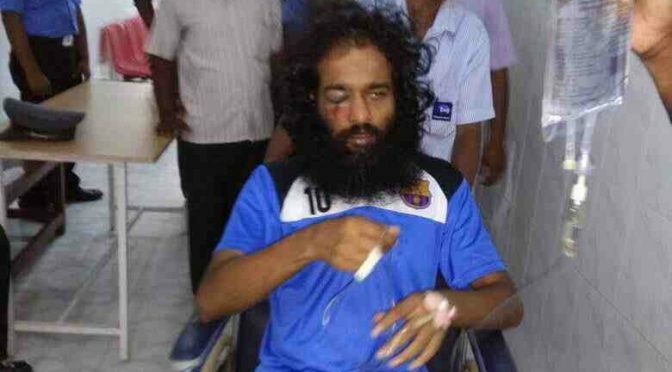 We strongly condemn the attack on the IIT Madras Scholar Sooraj! The PhD student was thuggishly beaten up for organising a beef-eating protest to resist democratically the authoritarian restrictions of the Modi’s saffron regime over the cattle-trade. While this legislation is a clear breach on the individual liberties such as choice of food, the cattle trade restrictions are also a serious blow to millions and millions of livelihoods; particularly affecting the marginalised communities involved in the retail beef trade, leather industries, tanneries, etc. At the same time this act is not seriously touching upon the multi million dollars worth beef exports by the large slaughter houses run by rich businesses. This shows the hypocrisy of this government while imposing its over arching ‘hindutuva’ agenda of beef ban amongst ordinary people and simultaneously protecting the interests of the big business involved in beef exports.